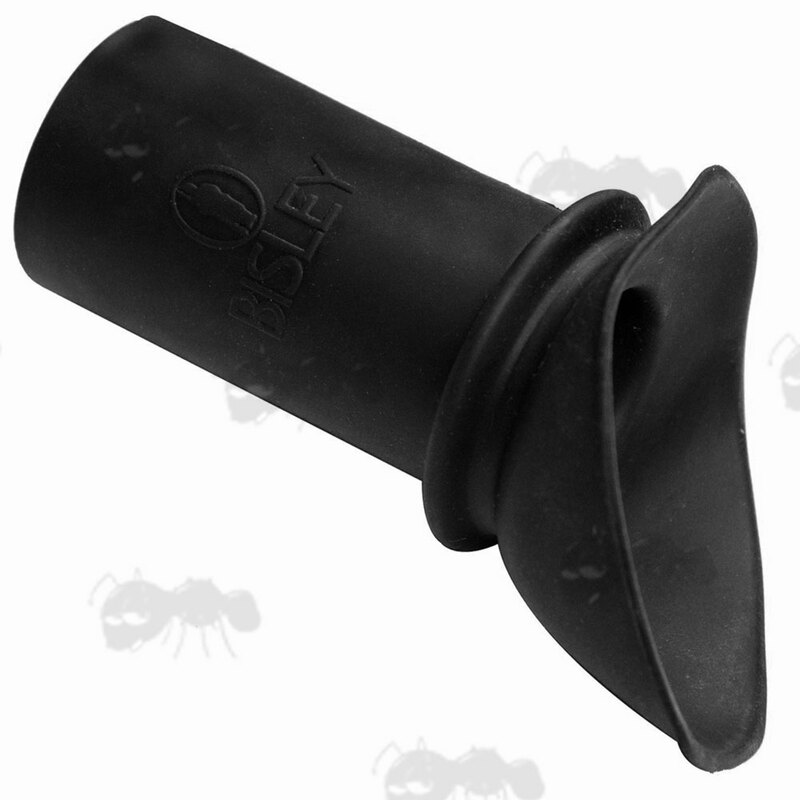 A scope eyepiece cup will improve the performance of whatever quality scope you use. They fit over the ocular end of the scope. 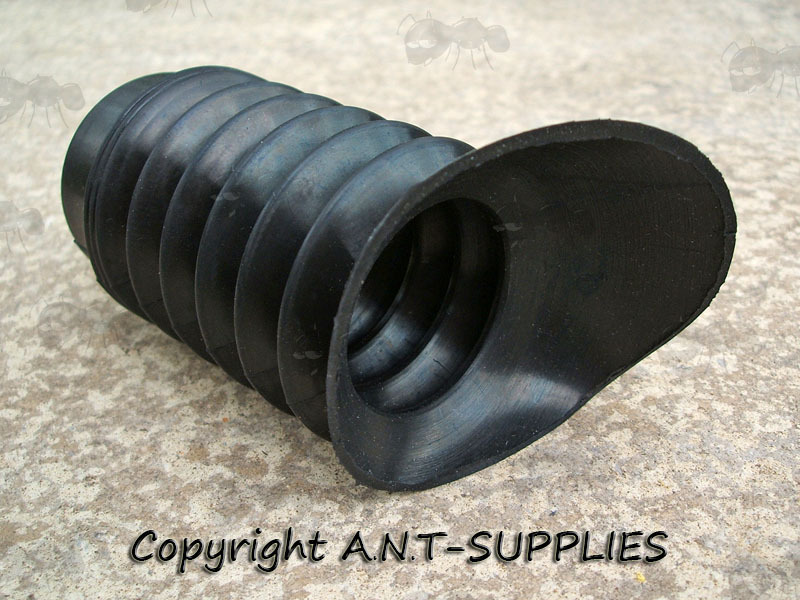 Also available ~ Standard scope eyepiece extenders. Or £12.00p the standard 34mm & 38mm. 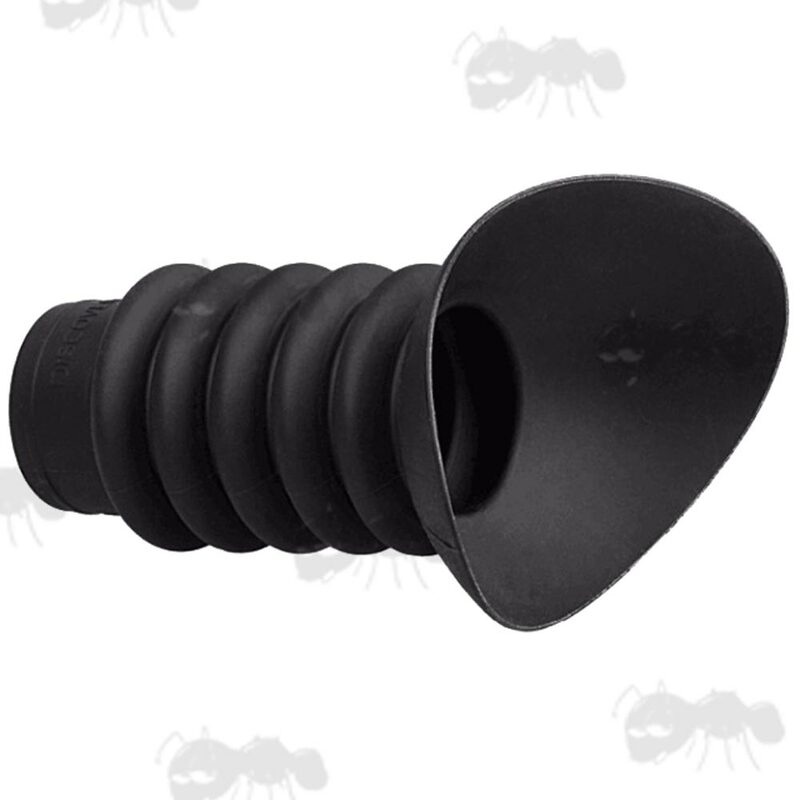 Next > Wide Fit Pig's Ear Eyepiece. Black, rubber concertina style eyepiece scope extension. 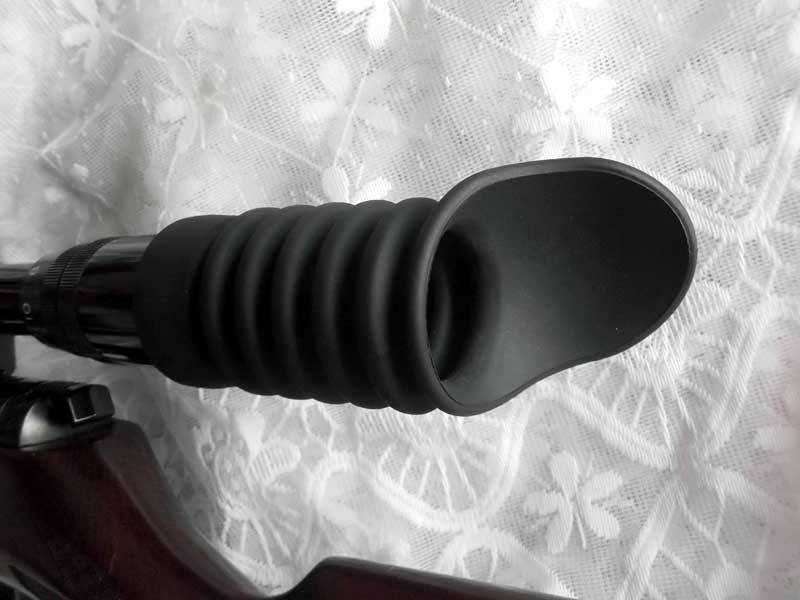 Fits most scopes and suits right or left handed shooters. Increase your dawn and dusk shooting time. The 34mm should fit 33mm to 35mm eyepieces and the 38mm should fit 37mm to 39mm eyepieces. 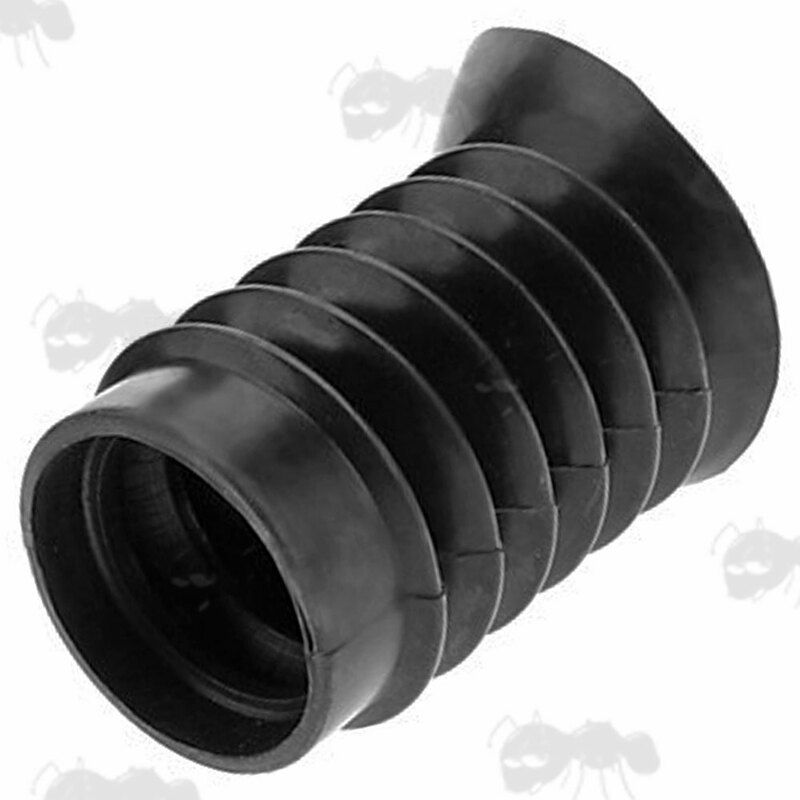 Concertina style eyepiece extension that fits most rifle scopes. Stretches to fit from between 38mm to 48mm eyepieces. The convertina design offers a comfortable cushion and protection against recoil. Made from high-quality silica gel for no odour, more durable, increased flexability less likely to attract dust, wider fit range. For scopes with eye relief of approx 3 inches. Aids quick targetting due to with set eye weld. Reduces eye strain, improves target focus through eliminating lens glare and peripheral vision, especially in low light conditions. For scope eyepiece diameter of 38mm-48mm (1.14" to 1.44"). Main section is 3½ inches / 9cm long, before the foldable eye cup. 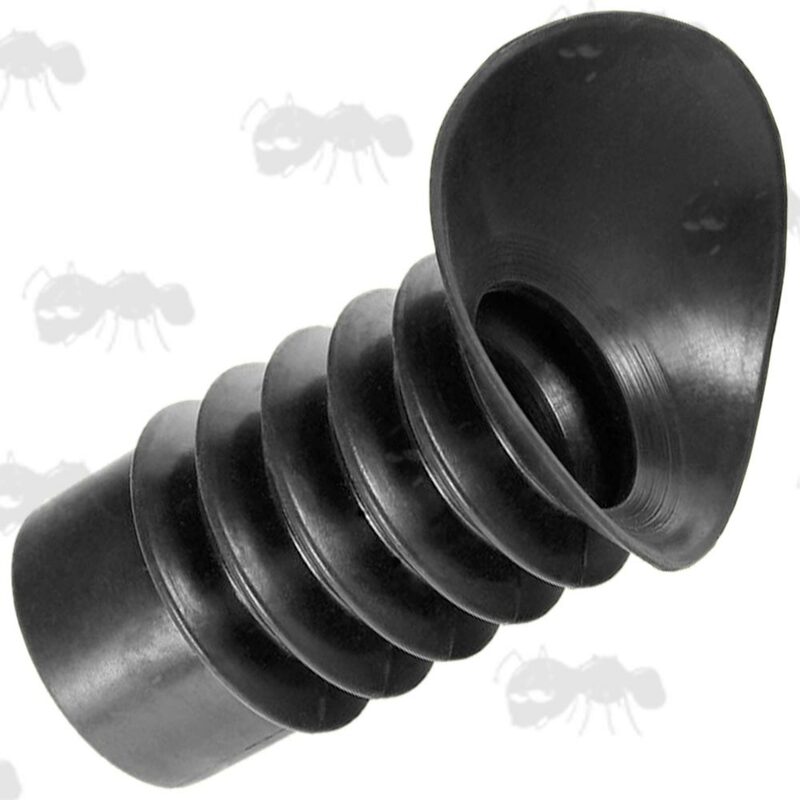 1½ inch / 38mm inner diameter. 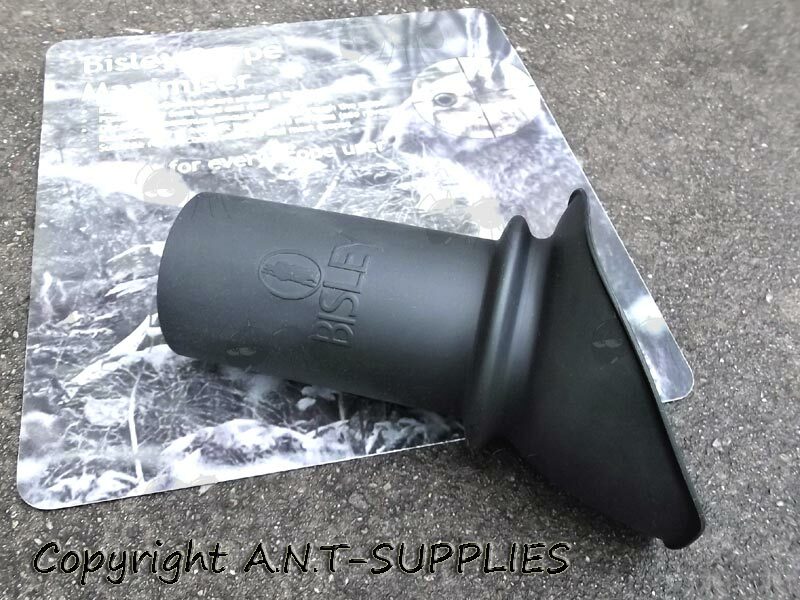 The thick rubber will stretch to fit at least 42mm diameter scopes. 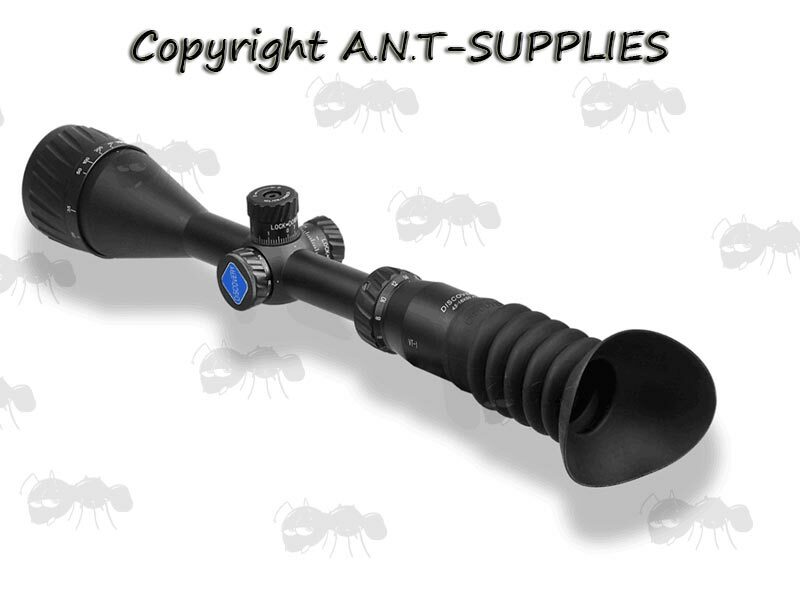 Fits 98% of scopes and suits most shooters including left-handers and those who use glasses. Can be positions depending on your shooting style. Cuts out distractions from lamps, wind, dust and rain. Increase your dawn and dusk shooting by up to to 15 minutes. Designed to give you the maximum benefits of your scope by allowing your eye to "tune in" to the scope without distractions. Smear a small amount of powder inside the lip of the maximiser, then push on to suit your eye relief and rotate to suit your shooting style.